To accelerate digital manufacturing, online portals are based off of CAD models, which users can update according to instant feedback. Image courtesy of Stratasys Direct Manufacturing. Today, consumers can do almost anything through an online interface: order food, buy home products, set items for in-store pickup and hail an Uber. This type of convenience is making its way into design engineering and manufacturing with the emergence of rapid prototyping service portals that allow users to get instant price quotes and manufacturing feedback. 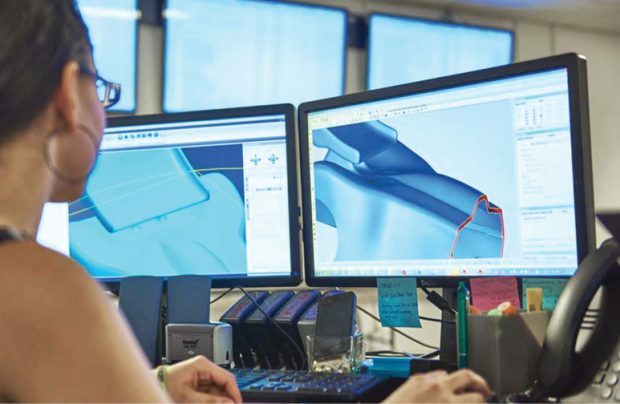 “Designing parts using an online interface typically connects you to a community of designers who can provide valuable feedback to improve your project,” says Chuck Alexander, director of product management at Stratasys Direct Manufacturing. In addition to an online portal, Xometry offers a plug-in for SOLIDWORKS, letting users get a price while they design. Image courtesy of Xometry. Aside from the expedited workflow these portals provide, their capabilities are bringing in more benefits for users. “We find that with an online interface, a customer of ours can rapidly iterate and compare options just by a click of the mouse,” says Greg Paulsen, director of applications engineering at Xometry. “We like to think of ourselves as a one-stop manufacturing service.” With this ability and setup, he adds, companies can produce parts that can fit price, lead time and quality requirements. De-risking is another big part of these portals. Traditionally, there’s a lot of upfront risk with creating parts, and prototyping is very expensive. However, with online portals’ quoting systems, users can instantly see what sections might cause manufacturing troubles and how much modifications will add to the overall cost. With this design feedback and reduced risk, engineers have greater transparency into the overall process, instead of waiting for design input through multiple rounds of paper drafts. They also collectively enable more effective file version control, file-specific mark-up and comments, advanced search features, project libraries and often accommodate your preferred 3D CAD software, notes Ben Bradley, SmartQuote manager at FATHOM. This notion of the digital thread also makes it much easier for teams to collaborate across time zones, countries and offices. Multiple teams within the same company can work together without having to leave their desks, which is especially important for designers and engineers who are working in different parts of a building with varying degrees of access. Plus, they can generate email notifications when changes have been made and integrate approval checkpoints, Bradley explains. The Protolabs online portal provides a review of issues that shows changes via a 3D model. Image courtesy of Protolabs. Just as the quoting and manufacturing process has seen upgrades over the years, so has design and simulation software. With these interfaces, users can access some of the technology all at once, instead of needing to purchase different software for optimization, simulation and design for manufacturing, because a lot of these principles are already integrated into the portal. The access to design for manufacturing knowledge allows users to make the most of additive manufacturing, says Filemon Schöffer, chief marketing officer at 3D Hubs. “Traditionally, in aerospace, you wouldn’t be able to take advantage of design for manufacturing and optimization so quickly,” he says, for example. Even with the benefits that these interfaces bring, a certain amount of engineering design knowledge is still needed. Because certain types of manufacturing automatically work with 3D models, users need to be able to produce a CAD model for feedback and pricing. Depending on the portal, customization options may change, since most offer feedback but require the actual changes to be done to the CAD model. Beyond the model itself, it’s helpful to know project specifics when placing an order. This way, users can ensure their design will meet any production requirements, such as timing, costs, specific materials and project scale. This can be particularly important, because different manufacturers will generate quotes depending on certain factors. “Every portal is different. 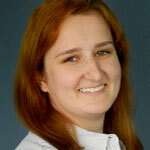 If [users] have the basics of 3D CAD and [an] idea of what they want to design, then they can use it for a range of technique[s] of manufacturing and materials, which the portals provide,” says Sarah-Jane Bayliss, global marketing, On-Demand Manufacturing at 3D Systems. Beyond the CAD model and project specifications, users should look into the repeatability and reliability of a service partner, and be cognizant of quality of intellectual property protection, notes Greg Thompson, global product manager, at Protolabs. One way that engineers will be able to tell quality is from a provider’s published tolerances, minimum features and design guidelines. Still, there are instances when bringing in outside help is advised, especially with parts that require specific paperwork or certifications. This is relevant in industries such as aerospace, automotive, or medical device design, which require extensive compliance. Product complexity is another factor. For projects that have multiple CAD models, materials and parts that need to be manufactured, working with a specialist or team can help coordinate the entire process and provide advice so that parts are truly optimized for the right applications. With all of the different prototyping services available online, how should engineers figure out which one is right for their needs? This can be narrowed down to three main factors: machine access, availability of materials and support services. For a majority of service providers, they either have their own manufacturing facilities, or are supported by a network of machines or shops. Depending on the number of machines that they have, this can affect the type of services they offer, such as 3D printing, CNC machining or injection molding. It also will determine time to manufacture depending on machine capacity and application needs. 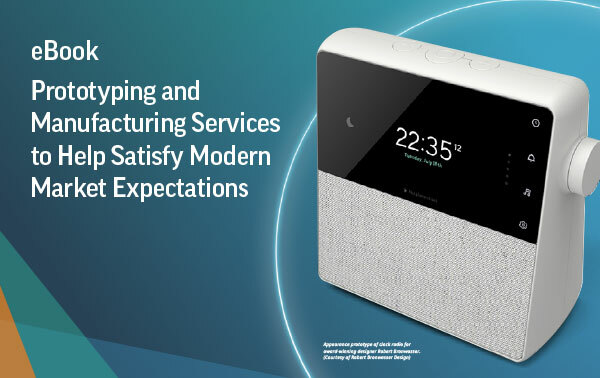 Users will also run into different material options depending on the service provider, which might be a requirement, depending on what is being manufactured. This can be especially important for end-use production parts, which might require specialty or metal materials that aren’t necessarily supported by all online portals. For advanced design, FATHOM says it has developed a complete Design for Additive Manufacturing program, which can help users understand the basics and promote adoption. In industry, online access to manufacturing is becoming standard for both engineers and manufacturers. Online portals and quoting mechanisms have already established themselves as a way to expedite the production process and advance design-for-manufacturing capabilities. Recently, logistics company PostNord Strålfors launched a new portal for additive manufacturing in conjunction with 3YOURMIND. 3YOURMIND provides platforms intended to streamline industrial 3D printing for companies and 3D print services. The digital 3D workflows connect teams and production locations, optimize resource utilization and enable smart AM production decisions, the company’s website notes. With this partnership, the two companies aim to connect data and create truly agile manufacturing processes that will fuel the Industry 4.0 growth cycle. By being able to work with design feedback and also get a large variety of machining and material options, engineers can better understand how to optimize their parts and learn exactly how to design for specific manufacturing methods and how these systems can work as a whole. Ultimately, these portals provide a way to start the digital thread and connect part designs to different machines, optimization technologies and materials so engineers can produce prototypes and end-use parts in an efficient and effective way. Their connection to the digital thread may explain why engineering software vendors like Dassault Systèmes and Siemens are getting into the mix. 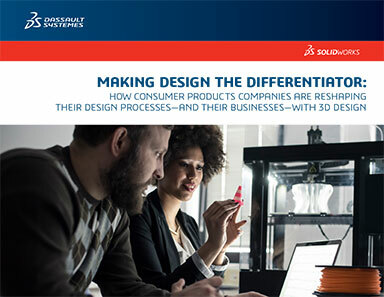 At SOLIDWORKS World 2018, Dassault Systèmes launched 3DEXPERIENCE Marketplace Make, which connects designers with a variety of manufacturing services providers (both subtractive and additive). It is part of 3DEXPERIENCE Marketplace, a larger portal that also includes Social Collaborative Services and Marketplace Parts Supply. Users will be able to search, both by shape and by meta data, the desired 3D components from part suppliers that are part of the network. At Hannover Messe 2018, Siemens launched its Additive Manufacturing Network, an online collaborative platform designed to bring on-demand design and engineering expertise, knowledge, digital tools, and production capacity for industrial 3D printing to manufacturers. It is expected to roll out in mid-2018, the company says.